5 1/2 x 8 1/2"
Finding myself two paintings short of a 2010 animal-themed calendar, I asked my friends what creature to do next. 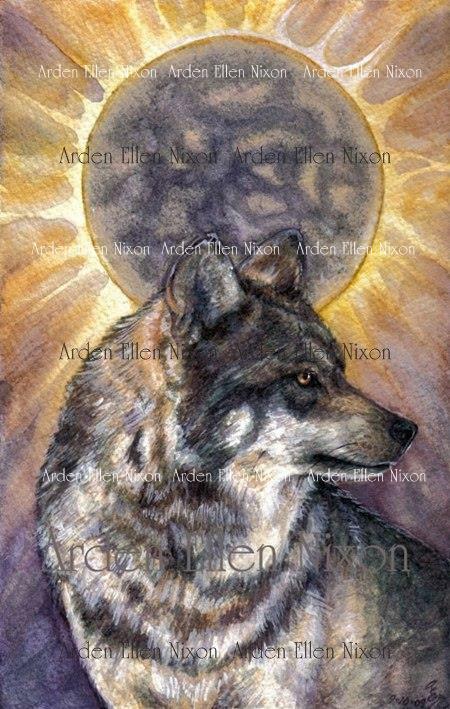 A wolf was the most popular suggestion, and having never painted one before, I was pleased to try. In fact, I'm going to make another wolf to finish off the calendar's full tally, not to mention help balance out my pride of lion paintings.